100% Unbleached/Natural Beeswax Devotional Tapers. Popular with both Eastern and Western Rites for Devotional/Votive Offerings. Does not include drip protectors. To add bobeches (drip protectors) see product: 81200125. Boxes contain 10 lbs of wax. 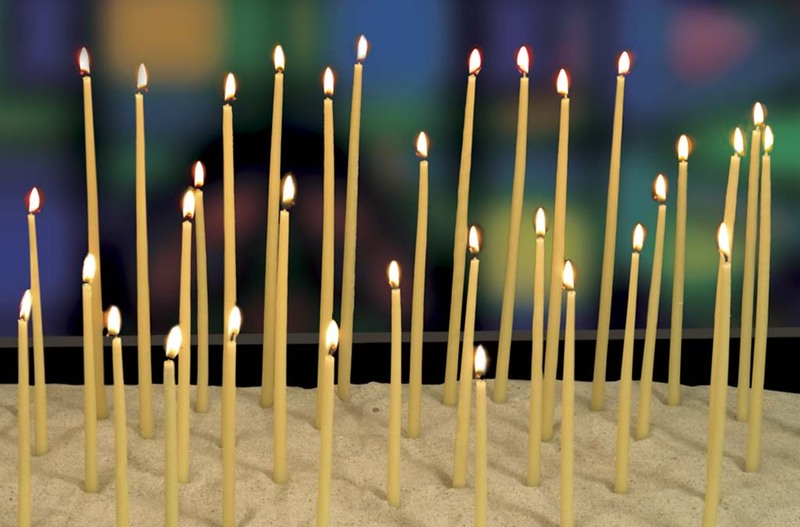 Candles are 11" long and available in three different thicknesses.